A mural by Banksy at the Paris Bataclan theatre, where Islamist militants killed 90 people three years ago, has been stolen. That's according to the venue. The artwork showed a veiled female figure in a mournful pose on the fire-exit door. It was one of a series of paintings last June in the French capital and attributed to the British street artist. 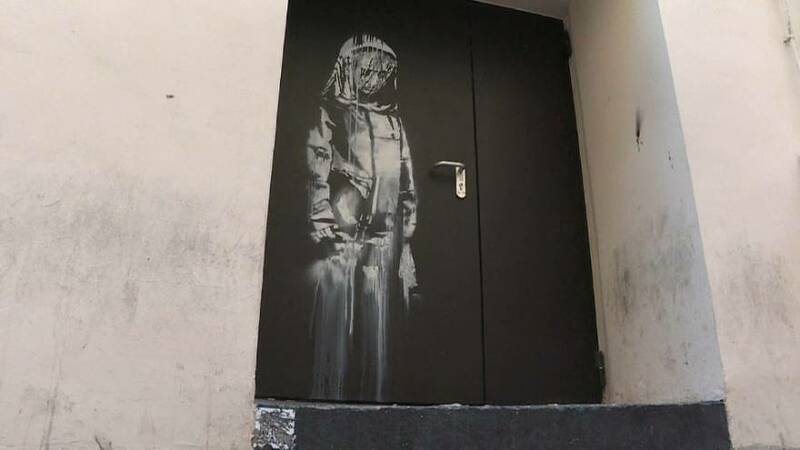 Police say thieves with a van stole the door with the stencil Friday night. It was during a rock concert when militants stormed the building in November 2015, as part of coordinated attacks. Three heavily armed gunmen killed 90 people at the show and a further 40 by a suicide bomber at cafes and restaurants. The Bataclan expressed their "indignation" in a tweet at the time. The artwork has become popular with tourists and Parisians when it was first discovered in June last year. One of Banksy's last creations in Wales sold for over 115,000 Euro's.